Patience is a virtue, although it’s one not all of us have the luxury of possessing — especially when you’re sitting in an airport gate five minutes late to a meeting at your destination. Fortunately, we have amazing news for the busy and the burdened amoungst us husting and bustling to get to their next appointment or conference. 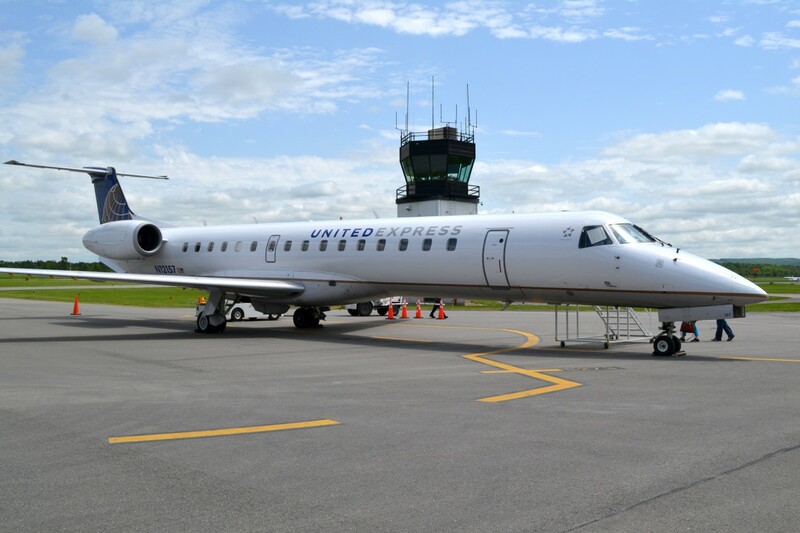 In a sweeping change for both Ithaca Airport (ITH) and the Southern Tier, the airport will cease its non-stop (and oft-delayed) Newark flights. Instead, beginning on October 4th, ITH will introduce new non-stop flights to Dulles International Airport (IAD) in Washington D.C.
As reported by our friends at the Ithaca Voice, this new route to D.C. will greatly increase the reliability of making your next flight. As compared with EWR, passengers are expected to depart the plane on time in about 80% of cases – on par with the most reliable airports in the nation. With over 35 carriers flying to 125 non-stop destinations including key hubs like Los Angeles, San Francisco, and Denver, Dulles is an undeniable stop up for the thousands of travelers utilizing ITH. Also, there’s a craft beer bar which we think is pretty swell. While craft beer is clearly the most important advantage of flying to Dulles, there are also pet relief area, play area for the kids, a chapel, nursing rooms, smoking area, and more passenger-friendly amenities. With only a 60% on-time rate, flying in and out of Newark has been a bit of a gamble, to put it lightly. Highly trafficked and weather-constrained airports like EWR tend to prioritize long-haul flights above smaller craft on shorter trips like those from ITH, resulting in delays and missed flights. According to ITH Manager Mike Hall, the ITH to EWR routes are plagued by difficulties including, but not limited to, “weather, air traffic and the physical layout of the airport.” In other words, while you can fly just about anywhere from Newark, you probably won’t get there on time. That’s not mentioning the staggeringly long security lines you’ll face should you want to leave the Newark airport for some fresh air, nor the disturbing lack of quality breakfast foods. So for an airport a stone’s throw away from the Bagel Capital of the World to have such bland, artificial breakfast food, it’s truly disheartening. Unless you’re on a private jet or traveling first class, flying is not exactly the most relaxing experience. You know what helps? Good food. So is it too much to get a moderately priced but still deliciously satisfying bagel to make flying more enjoyable? Now to the elephant in the room: what about travel to NYC and Newark? Between national bus lines like Greyhound and Shortline, and local bus companies like the Campus-to-Campus and Big Red Bullet, you can get downstate by land both more reliably and with more legroom than by flying to EWR. Have you been on the Campus-to-Campus bus? They have tables where you can do things like play video games, work, eat sandwiches, enjoy free snacks, beverages, Keurig drinks, all within the comfort of a seat that you can actually select yourself when buying your ticket. While they may be a bit slower than flying, these buses arrive without delay a staggering 90% of the time, putting ITH to EWR flights to shame. Additionally, even the most expensive buses are about half of a plane ticket. It’s a win-win! From the greater reliability, increased carrier and destination options, and easier access to our nation’s capital, the change from non-stop EWR flights to Dulles is another win for both the airport and our community. You may remember the small matter of the $24.5 million expansion and renovation of the Ithaca airport recently announced by Governor Cuomo. While you’ll have to wait until next year for the new and improved airport, you can actually start booking flights to D.C. now! Visit United Airlines to book your flights to Dulles for Oct. 4th and beyond. Now, THAT’S a capital idea.